New Delhi: The Indian government is considering restrictions on flying rights of Kashmiri separatists by not renewing their passports. The decision on the next list of Kashmiri separatists whose security cover will be stripped off and their passport renewal is scheduled for Wednesday. 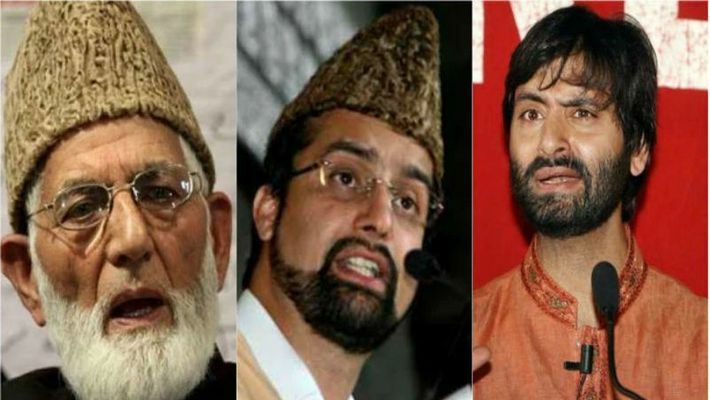 According to sources, passports of Hurriyat leaders who have very limited validity, will not be renewed till the government decides the next course of action. In a letter issued by the Government of Jammu and Kashmir naming separatists whose security cover has been withdrawn, another round of meetings is scheduled for Wednesday at the Civil Secretariat, Jammu. The Government of India has already stripped off security cover of 5 leaders. "In view of the recent terror attack on a CRPF convoy in Lethpora, Pulwama in which 40 CRPF men lost their lives, the Government of India has emphasised the need to immediately review the wastage of police resources in providing unnecessary security to a large number of non-government persons in the state," an official communication said. According to a study, the government spends Rs 20-30 lakh per person on a Z+ security cover for a VVIP. The Z category protecting Mirwaiz Umar Farooq had 65 security personnel and the government was roughly spending Rs 20-25 lakh per month. Action on Kashmiri separatists has been taken after Home Minister Rajnath Singh's visit who during a press conference in Kashmir hinted that the government will not spend any more money on people being funded by Pakistan's ISI. This is not the first time that Prime Minister Narendra Modi's government has taken strict action against Kashmiri separatists. In 2016, Government of India stripped all facilities extended to the leaders including security cover, travel and other medical services. The decision was taken after the Kashmir Valley was on the boil for almost 60 days after the killing of Hizbul Mujahideen commander Burhan Wani.